Welcome to Vince "King Quack Jr." Aiello's Website. 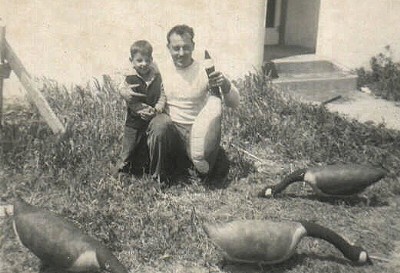 This web site is dedicated to my father, Phillip “King Quack” Aiello, 1920-1994. If it wasn’t for my father, I wouldn’t have enjoyed these many years of hunting and decoy collecting. First of all I should state that my father duck hunted for over 65 years. He was a great shot, made his own decoys, and was one of the greatest duck callers I’ve ever heard. He wasn’t a competition caller, but a “meat” caller. He would spend hours working on his calls and had them tuned up perfectly. Before duck season he would have dozens of hunters come to his house and he would tune up their calls. My Dad hunted mostly in the Sherman Island, Sacramento Delta area out of Antioch, CA. 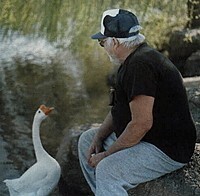 Due to his great duck calling, the local hunters gave him the nick name of King Quack. My sisters had a personalized California license plate made up for him that stated “kgquack”. I still have those plates. I titled my web site as King Quack Jr, not because I’m such a great call, but out of respect for my father. As you can see from this picture, my father could call any fowl in. 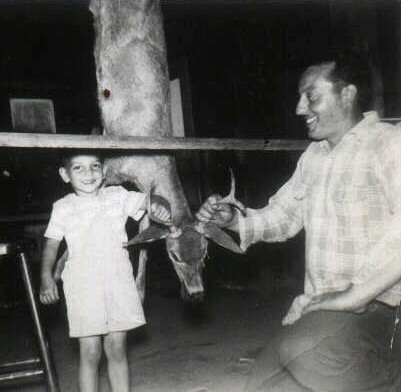 My father was also an avid deer hunter and fisherman. He hunted deer around the foothills of Mt. Diablo, California and in Nevada. 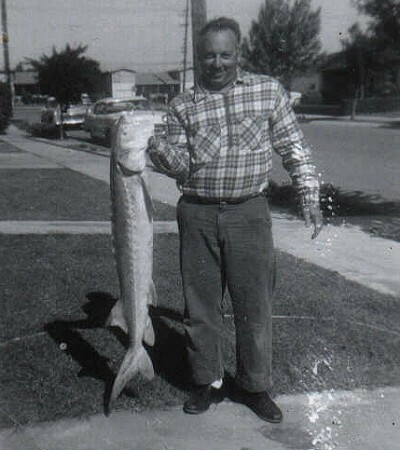 He fished the waters of the San Joaquin - Sacramento Delta. All Decoy photos, Shell Box photos, and Personal photos ©2007 Vince Aiello & www.kingquackjr.com. Please contact me at decoylover@att.net if you would like to use or reproduce any of the images contained within this website.